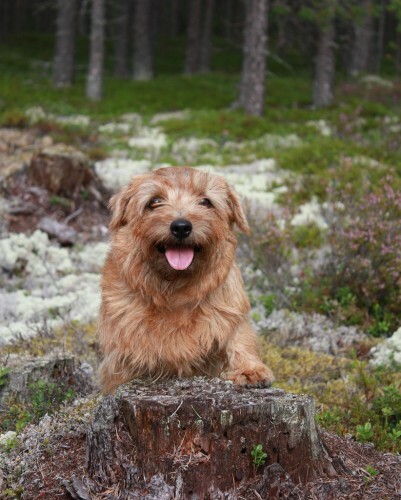 Norfolks are known for their spunky, sparky personalities. 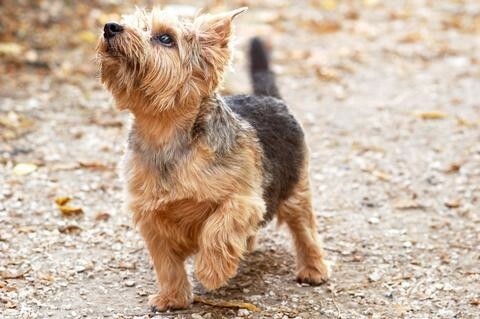 They may be small, but they have endless energy and love to romp and play with children. 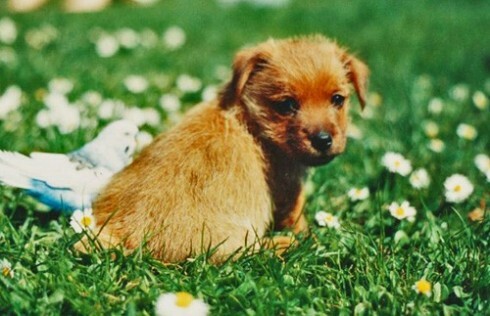 They are outgoing and inquisitive. 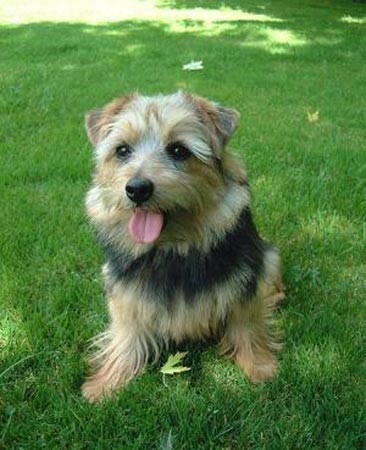 Being part of the family makes them happiest, and they get along nicely with all family members, including other dogs. 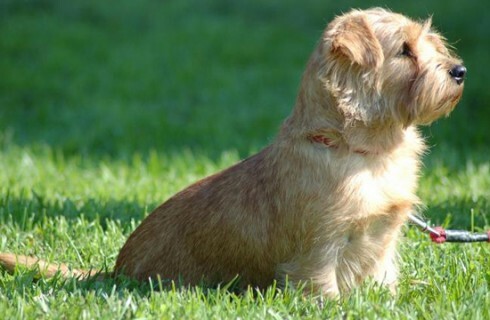 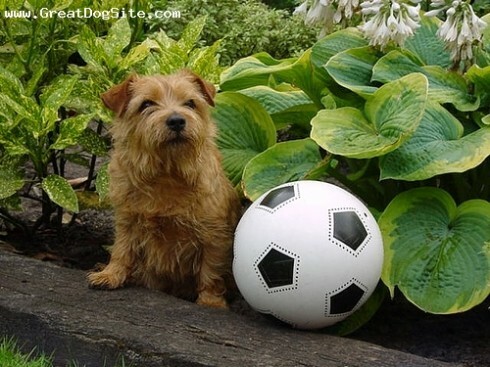 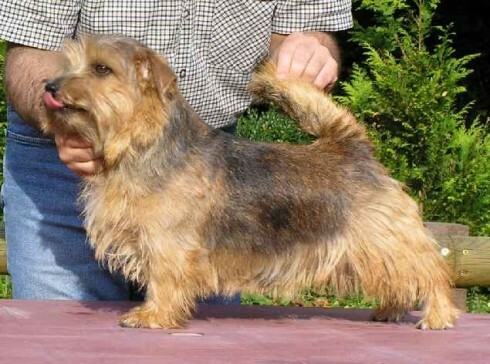 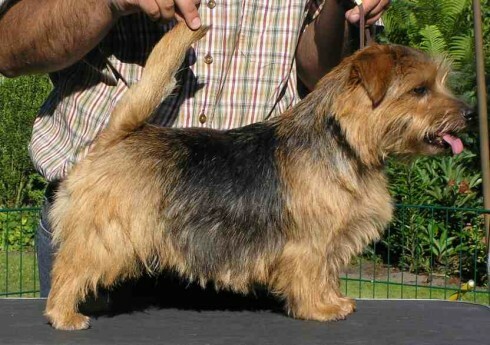 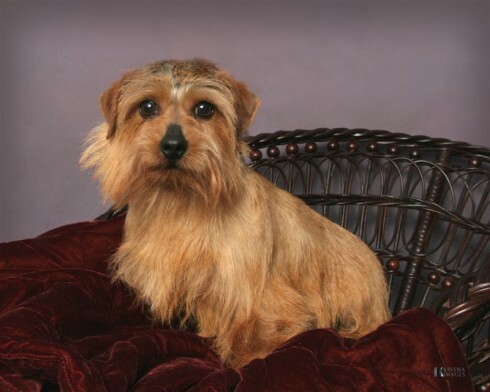 The Norfolk Terrier is a small, sturdy, alert, and fearless dog with sporting instincts and an even temperament. 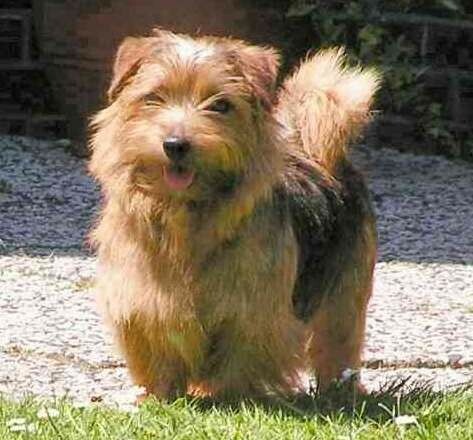 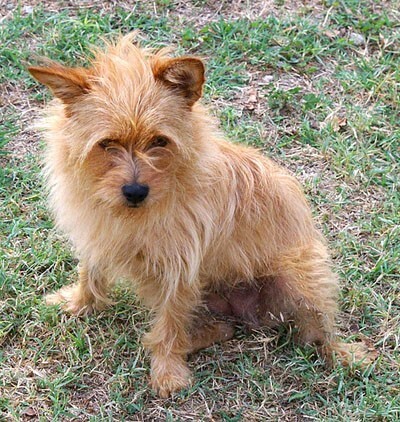 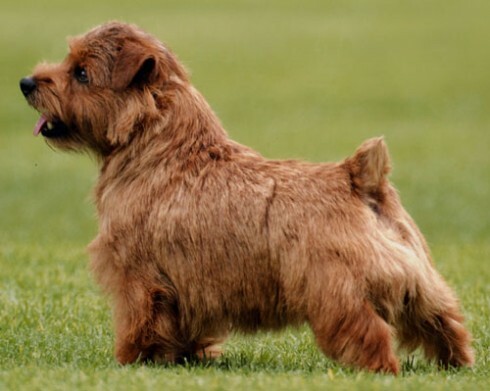 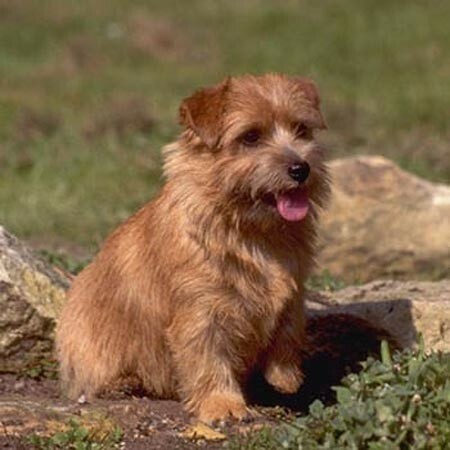 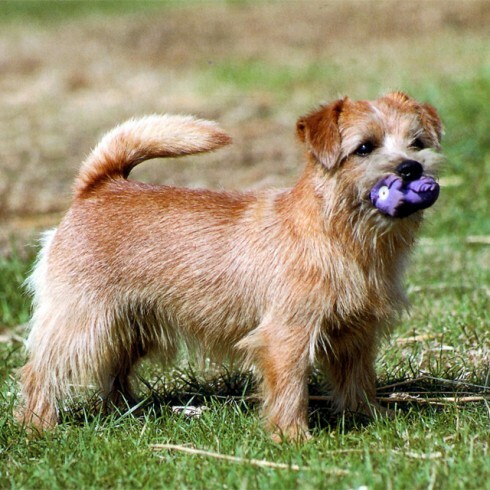 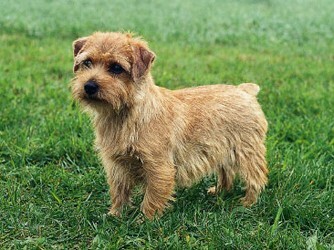 The Norfolk Terrier is a game and hardy little dog originally bred to go to ground after vermin and catch a fox. 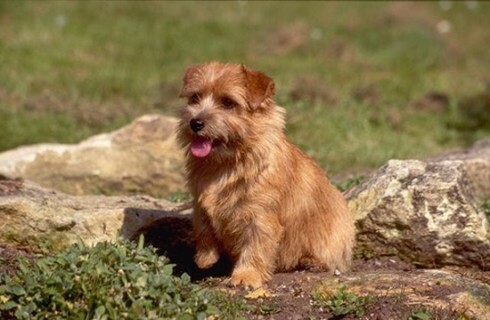 The Norfolk Terrier has drop ears. 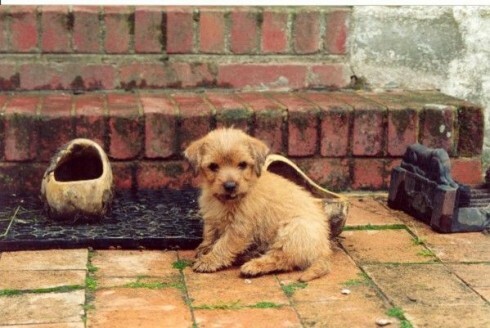 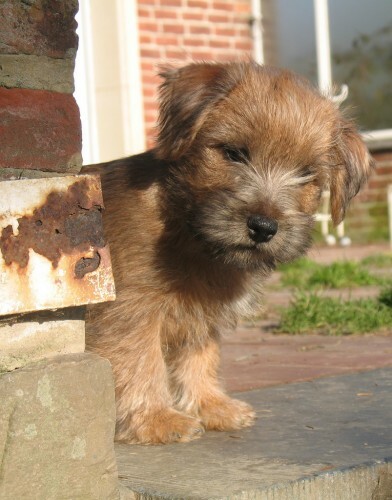 So you want to own an Norfolk Terrier? 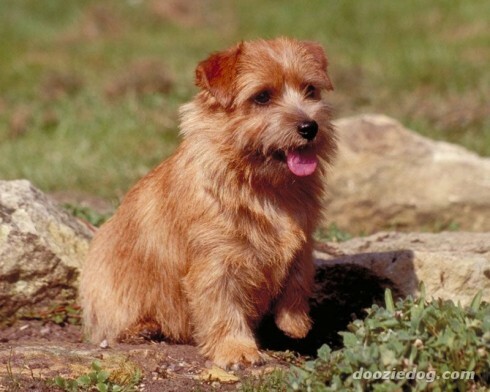 Norfolk Terriers are people oriented dogs and do not like to be left alone. 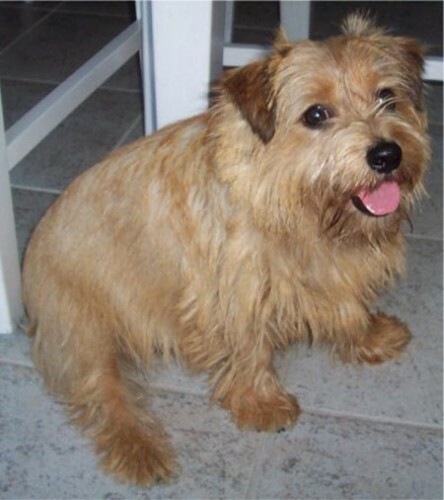 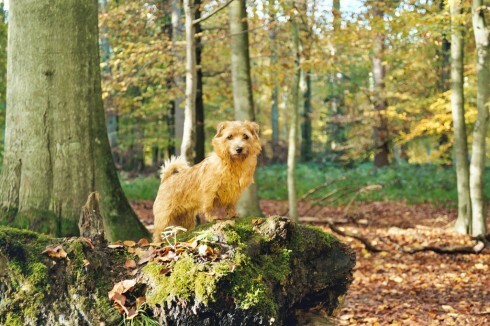 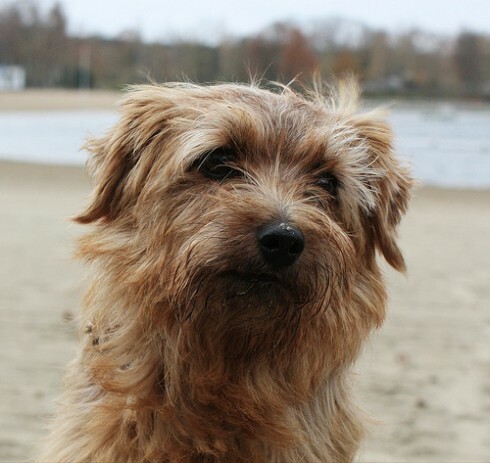 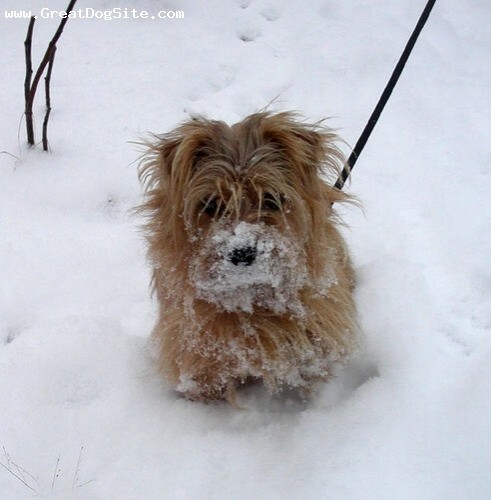 The Norfolk Terrier is alert, gregarious, fearless, loyal and has great charm. 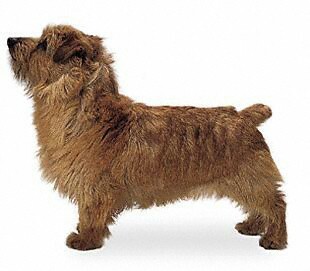 The Norfolk Terrier should be brushed weekly to keep it neat. 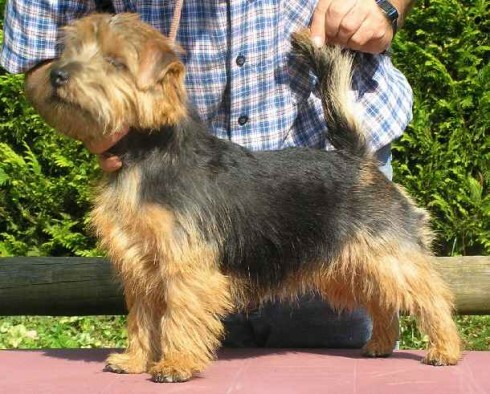 Oval-shaped and deep-set, dark brown or black. 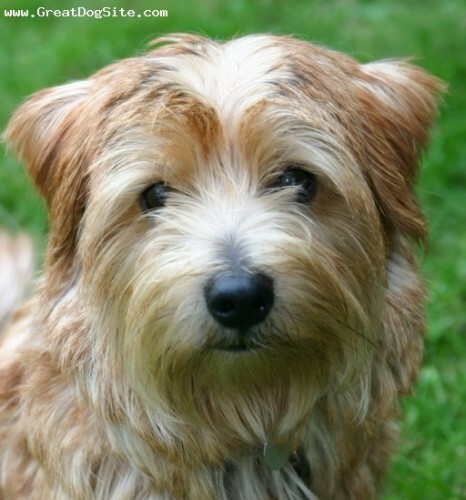 Expression alert, keen and intelligent. 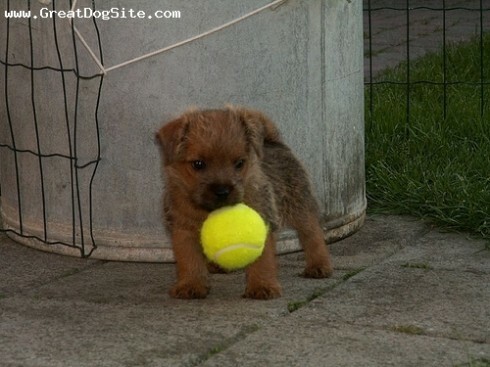 Docking of tail optional. 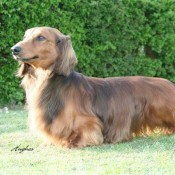 (a) Medium docked, set level with topline and carried erect. 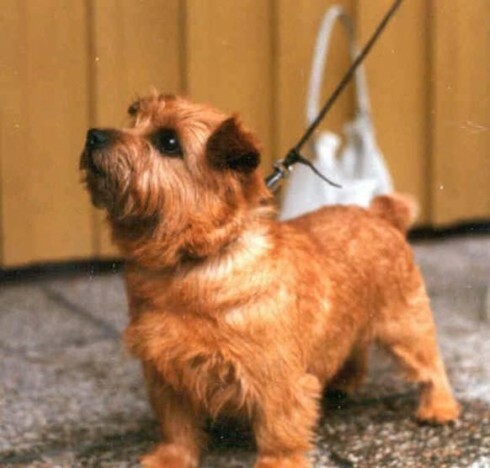 (b) Tail of moderate length to give a general balance to the dog, thick at the root and tapering towards the tip, as straight as possible, carried jauntily, but not excessively gay.